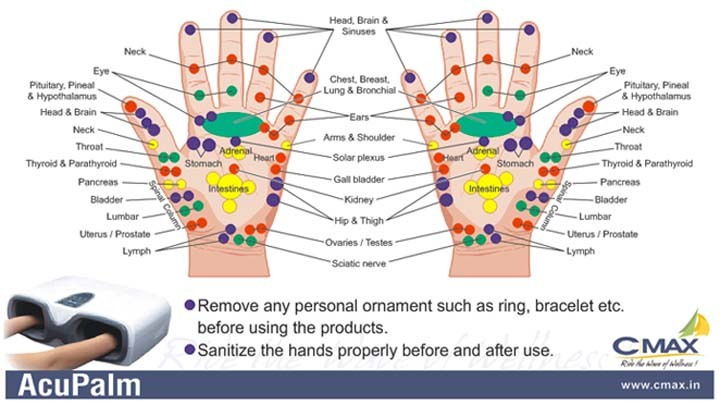 Last week I have written an article about: hand reflexology. 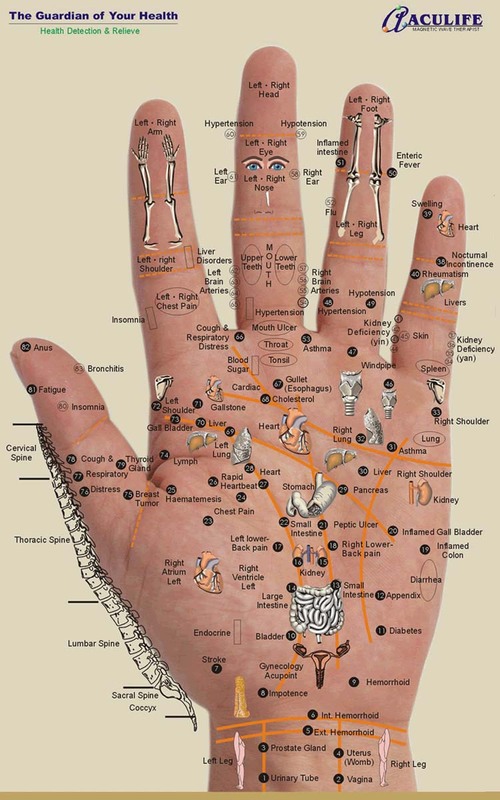 It is interesting to see how the body is represented in the hands, but one can also notice that in general reflexology charts are quite different compared to the charts used in the fields of hand reading. But just like in the fields of hand reading there are multiple hand reflexology charts available - describing significant differences! 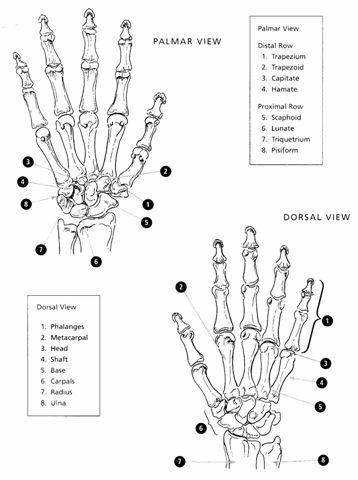 In the Aculife-chart below are the eyes connected with the middle phalange of the middle finger. 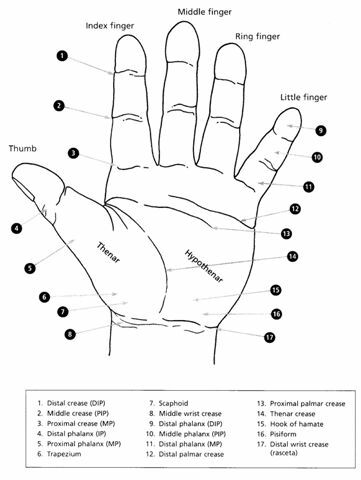 But in other reflexology hand charts the eyes are connected with the nail phalange of the middle finger (according Korean hand therapy), the index finger, or even multiple fingers. 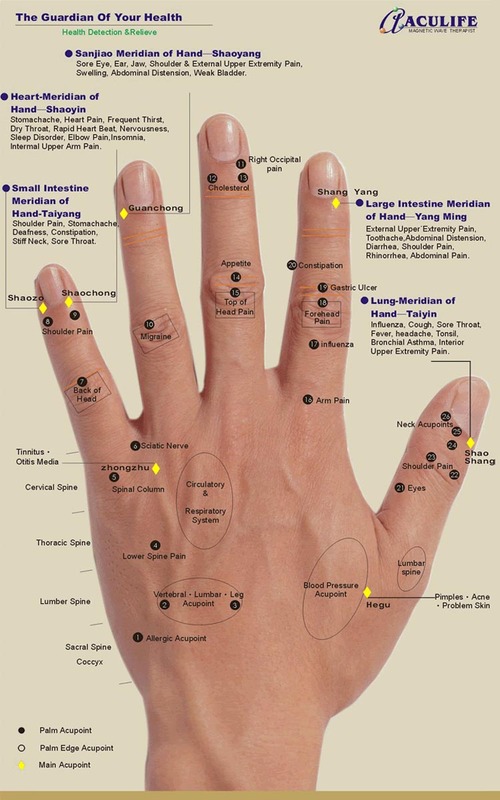 Thanks for researching & posting these hand reflexology charts Martijn. All very interesting but also very confusing! I guess you described them as 'confusing' because many elements do not fit with (y)our ideas about the hand? Actually, I agree... but I do think that it is helpful to know that there are multiple 'hand-diagnosis-maps' available. And yes indeed... it might be 'shocking' (at least a little bit) to see the variations among the various maps - created by various types of practitioners who probably all believe that 'their' method is reliable enough to be used for applications. - and the hand muscular anatomy (picture 3). Here are some other Korean hand therapy charts (a.k.a. Koryo Soojichim). Korean Hand Therapy concerns a form of acupuncture and massage for bringing the body to balance and wellness through your hands. By stimulating specific points on the hands, you can resolve pain and balance internal organ function. PS. I think it is interesting to notice that the so-called 'vertical zones' in reflexology show a parallel with my observation in the 'thumb' topic that the thumb & big toe represent the digits that are located more close to the central axis of the body (and the pinky & little toe are located at the periphery of the body). 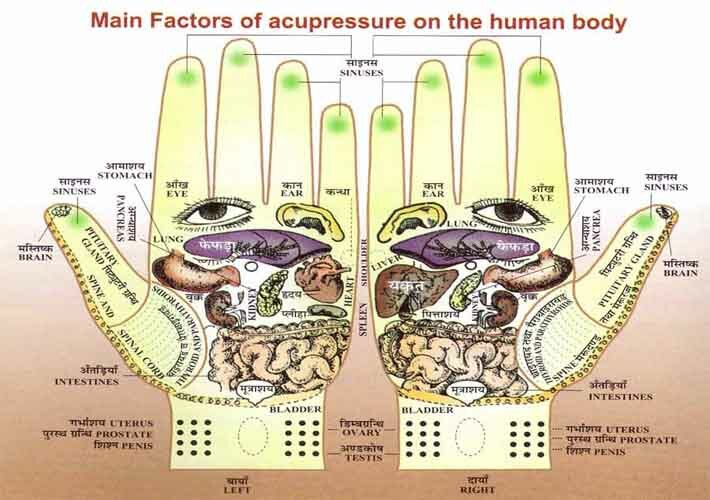 Interestingly, the principles used in the fields of hand acupressure (see the chart above) usually reflect some of the principles described by the meridian philosophy (see picture below). More evidence that the heart is most likely associated with the zone below the pink & ring finger! Is there no scientific research on those nerves whether or not connected to the heart?? 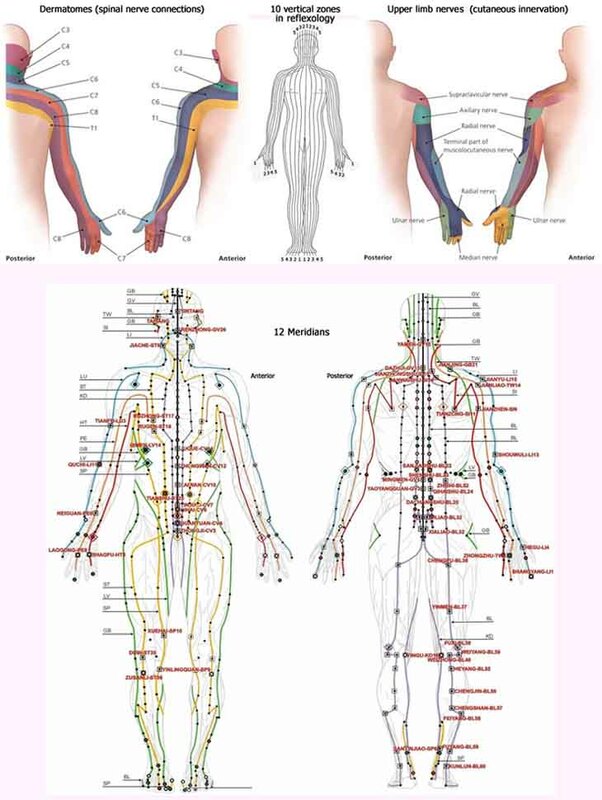 Clochette2 wrote: Is there no scientific research on those nerves whether or not connected to the heart?? All nerves are known to connect with the brain or spinal cord, so there are no nerves in the hand which directly connect with the heart. Thanks for your insight. I did not know nerves of hand were connected solely to those body parts. In palms one can see the heart state (possible health issues) by the heart line but also other signs on finger and palm. Was wondering if those charts had some connection to each other. I am not familiar with hand reflexology. And those charts you presented - thanks. 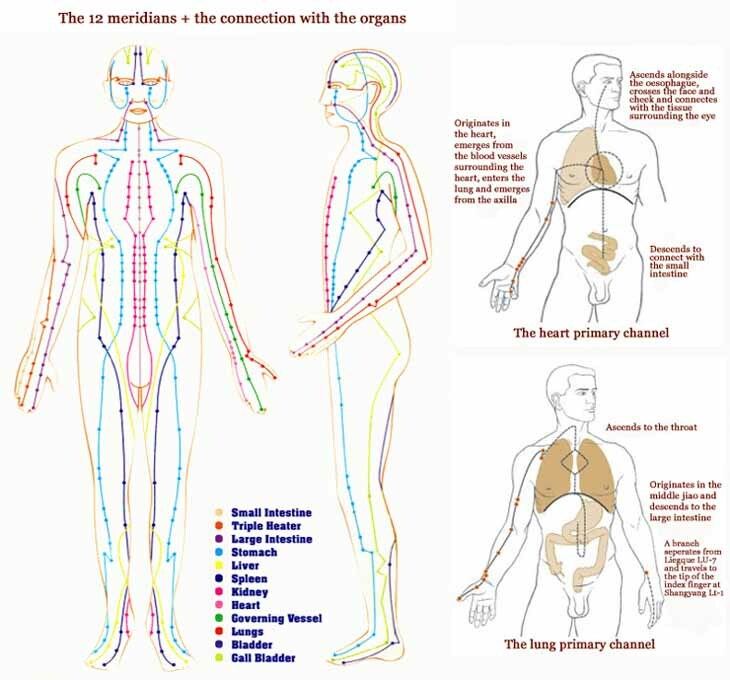 Nice to compare - show so many differences between where organs are supposed to match in hands. .. Saw you studied at centre about hands. Where and what is it? 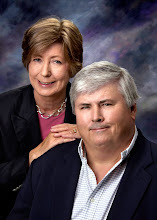 How do you see health issues of heart from heart line? can you give some examples? How far are you with learning? Clochette2 wrote: How far are you with learning? I will read up on the handresearch link you have given.